Like Steam, GOG now have a tradition of holding a quite splendid summer sale each year, where hundreds of great games have their prices slashed by absurd percentages. 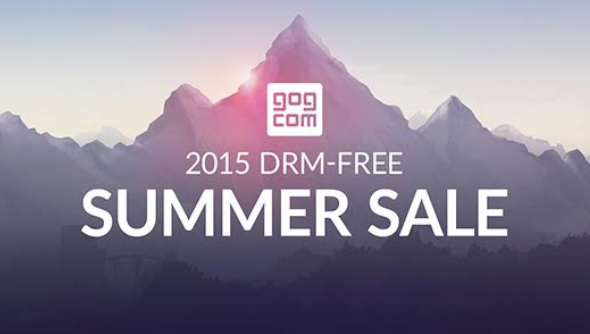 The 2015 Summer Sale starts today on GOG.com, and will go on until June 21st. GOG are not just offering cheap games, but free games too. You’ll need to spend a little to be eligible, but dropping just $1 in the sale will net you SimCity 2000. Throw $20 into the GOG well and you’ll be rewarded with S.T.A.L.K.E.R. Clear Sky. If there are simply loads of games you want in the sale, spending $50 will grant you Xenonauts for free. The sale is completely DRM free, meaning every game you pick up won’t be tainted by that digital rights malarky. And if you like to keep all of your purchases neat and tidy, whatever you buy can be stored in the GOG Galaxy client. 700 games will be discounted over the period, with new deals every 12 hours. Starting offers are The Witcher 3 at -10%, Lichdom Battlemage at -87%, and Jade Empire at -80%.